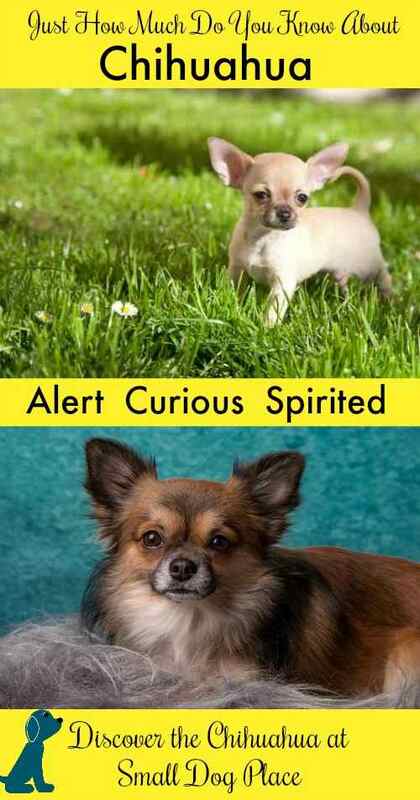 Chihuahuas: Are They Right For You? Loyal, feisty Chihuahuas, are you wondering if this tiny breed might be right for you? The Chi is one of the most popular dog breeds in America. Some think the popularity of the breed can be attributed to the hit movie, “Beverly Hills Chihuahua," or "Legally Blond" in the 1990s or the seemingly over abundance of them in the the arms of Hollywood starlets. 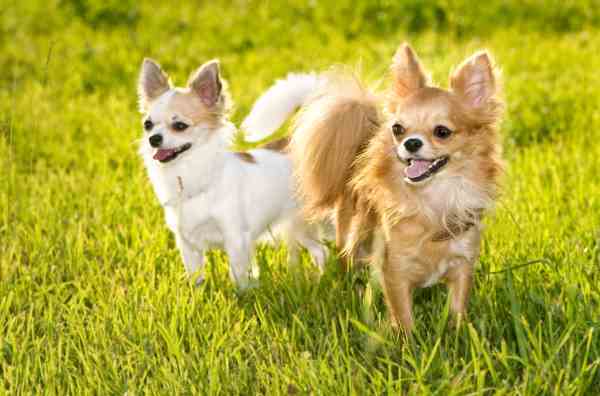 There are lots to love about chihuahuas--find out if this is the small dog breed for you. Whatever the reason, the general public has stereotyped the breed in both positive and negative ways. Sadly, their reputation stem from the fact there seems to be a dichotomy of personality traits. Everyone knows of a loveable Chihuahua and one that is mean and feisty, one that is confident and one that is suspicious. For this breed, a lot depends on genetics and on training and socialization. For those that love the breed, they would say that cute hardly describes this little one—but cute, fun-loving, loyal and intelligent have made the breed one of the favorites among small dog lovers. Buyers should be aware that these are not official terms and are labels placed on the puppy to tempt potential buyers into thinking that these puppies are better and therefore more costly. With proper training and socialization, they make an ideal pet for individuals, couples, or families with older children. Much of the problem with this breed is the owners who choose to treat their dog as a tiny toy and not a dog. The Chi’s size makes them fit comfortably into small apartment living quarters, but their size should not distract owners from proper training and socialization. 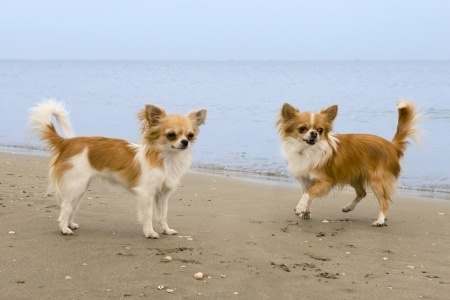 The Chi comes in two coat varieties: the long coat and the smooth or short coat. Colors: fawn, red, gold, silver, cream, chocolate, white, and black, spotted, sable, or a variety of other colors and patterns or markings. 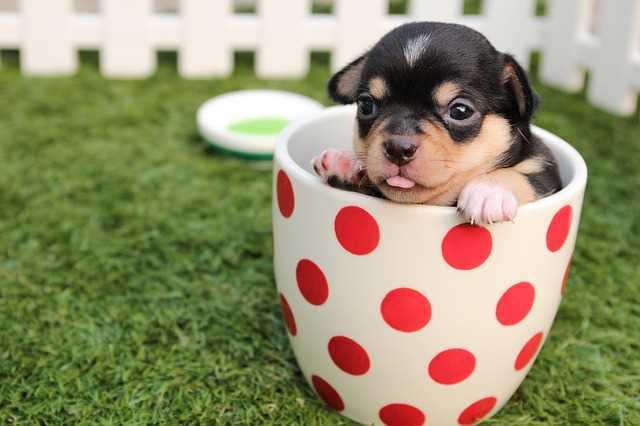 It is easy to see why people call the Chihuahua, a teacup puppy! 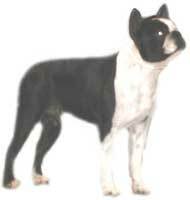 Much of the breed's history is guesswork because we do not have any written records of antiquity. It is thought that the breed dates back to the Techichi, a small dog that lived during Mayan times. Mayans conquerors, the Toltecs are believed to have domesticated this dog to be used as a pet and also used in religious ceremonies. The Aztecs conquered the Toltecs and turned these dogs in to sacred icons of the upper class, giving them religious meaning. Today Chihuahuas are smaller in size than were the Techichis. 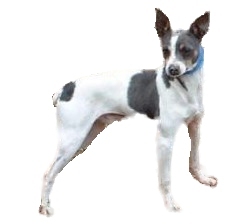 To gain their smaller size, it is thought that they were crossed with a hairless oriental dog. We know that dogs resembling the modern day versions of the breed are found in things found in the Pyramids of Cholula, predating 1530 and in the ruins of Chichen Itza on the Yucatan Peninsula. There does not appear to be any dispute that the Chi originated in what is now present day Mexico, but it is likely that that the travels of Christopher Columbus may have brought the dog to Europe. There were changes that occurred over the years resulting in the tiny modern Chihuahua that we know today. 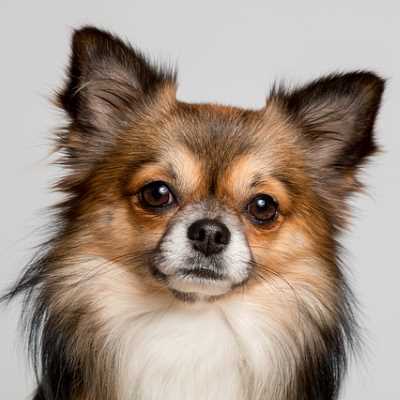 The AKC first registered the breed in 1904 after being discovered in the Chihuahua state, a Mexican region, bordering Texas and New Mexico around 1850. This breed is best known as the world’s smallest dog, but someone forgot to tell them that they were tiny. They simply don’t seem to comprehend size and will be quick to defend their human family and home from the biggest of threats. They might come in a petite package, but they are anything but tiny in personality. They are best known as and have been bred as a companion dog, with a bold nature. They possess a rather duel nature -- high energy level, and very playful temperament, but also a quiet, cuddle bug whose swift to snuggle under the covers. These are indoor dogs and do not do well being left alone for long periods of time and can suffer from separation anxiety. They do poorly in cold weather and most hate rainy days. Sunshine and warm weather also bring problems including their susceptibility to sunburn, especially on the nose, ear tips and belly. Are they mean? In my opinion any dog can become mean if treated wrongly. With the Chi being the smallest dog breed, there is a tendency to treat them as if they were not a dog at all. When a small dog is not allowed to be a dog, they often develop symptoms associated with Small Dog Syndrome. All dogs need socialization and training even small dogs. Often described as “clannish” they seem to have an uncanny affinity for other Chihuahuas. So if you’re planning on having more than one dog, two Chi might be the perfect answer. Grooming a short coated or smooth coated Chi is easy. A good brushing once or twice a week, a bath every few weeks and the usual toe nail clipping and dental care should be all that is necessary to keep your dog looking good. Even though grooming is not as time consuming with short haired breeds, a good once over with a flea comb, especially during warmer months will assure that your dog is free of external parasites. During your regular brushing sessions it is also good to look for bumps, bruises, cuts or scrapes. Long coated Chi require a little more grooming. Use a brush to go over his ear fringe, his legs or leg furnishings and his tail or plume. Brush the rest of his body, and then go over it with a comb to assure that you removed all the mats. Mats can be removed by breaking them up with your fingers or the end of the metal comb. Long haired Chihuahua may need professional grooming if mats become a problem. 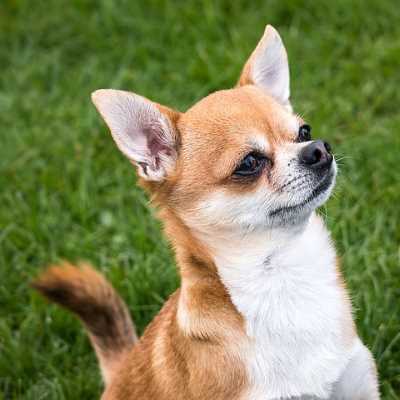 Like all toy breeds, the Chihuahua is prone to certain conditions due to his size and other health problems can occur because they have a genetic predisposition to them. Although relatively health, often enjoying a long life span, Chihuahua are sometimes finicky eaters and others eat too much. Most do not tolerate the cold well and can be seen shaking if chilled even slightly. They can also have dental problems do to the small size of the mouth. Hydrocephalus: Common in some small breed dogs, hydrocephalus is usually noticeable within the first couple months of life and include large head, lethargy, and failure to grow. The prognosis is poor for puppies. Molears are a normal part of development in the Chihuahua breed but worth mentioning especially if you are considering breeding your dog. 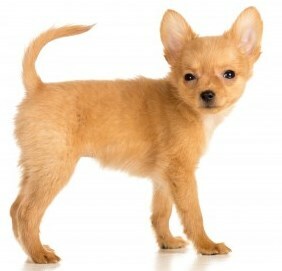 Also called soft spots in the skull, Chihuahuas are the only dog breed that is born with an incomplete skull. This normal adaptation occurs to allow the puppy to pass through the birth canal. The molera fills in with age, but it vital that extra care be given puppies to prevent injury. This is not to be confused with hydrocephalus. Hypoglycemia: Any tiny dog breed can be prone to hypoglycemia or low blood sugar, but puppies are at greater danger. If untreated, it can lead to coma and death, but it is easily treated by frequent feedings or supplements such as Nutri-cal or Karo syrup. Signs of hypoglycemia include lethargy, incoordination, spasms of the neck, fainting or seizures. A quick and effective treatment is to rub the inside of the mouth and gums with Karo syrup to quickly raise the blood glucose level. Collapsing trachea: A condition in which the rings of the trachea flatten or collapse making it difficult to get oxygen in and carbon dioxide out. Patellar Luxation: A common problem in many small breed dogs, this condition occurs when the femur (thigh bone), tibia (leg bone) and patella (knee cap) do not line up properly. The result is lameness or abnormal gait. Chihuahua dogs have their fair share of training challenges. Like so many small breed dogs, house training is often the first challenge encountered by new dog owners. Even normal size Chihuahuas have little bladders making it necessary to take them out frequently. They also seem to have difficulty holding their urine and smaller "teacup dogs" are even harder to training. Many Chi owners choose to paper train their dogs indoors using pee pads. To add to the problem some Chihuahua also suffer from submissive urination. Having a very calm positive approach to training is critical. These little dogs do need exercise but most can get all the exercise they need by follow their humans around the home. A short walk can also prove beneficial as long as you don't overdo it. Always use a harness rather than a collar if taking your Chi on a walk around the neighborhood to protect their delicate neck and avoid tracheal collapse. Chihuahua need a high quality food to nurious their tiny bodies. They can become obese with just a bit more food than they should be eating on a daily basis. Treats are necessary for training purposes but must be taken into consideration when calculating their total daily calorie needs. Sometimes, fresh fruits and vegetables can be used for training treats. Some foods, however should never be given to any dog. Check out more information about feeding puppies or feeding adult dogs, or learn how to read dog labels to evaluate dog foods. Any Problem Behaviors To Look Out For? 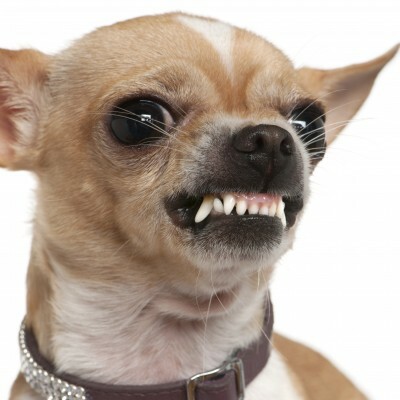 Small Dog Syndrome is a behavior but a group of problems that plague many small dogs, especially Chihuahua. How Much Do Chihuahuas Cost? The cost of Chihuahua varies widely depending on where you purchase your dog or if you elect to adopt. Adoption costs are typically around the $300 to $400 range with adoption costs for senior dogs are less. Puppies may be more. There is an over abundance of Chihuahua dogs in shelters according to Barkpost so finding a dog to adopt is easier with this breed. To purchase a puppy from a breeder, there is a wide range of prices, from $300-400 for individuals who have puppies without registration papers to $1000 to 1200 for registered dogs from highly reputable breeders. It is always recommended to research breeders and find one that is ethical and professional. Thinking you might like to be owned by a member of this breed? Here are a few books we think you might enjoy.